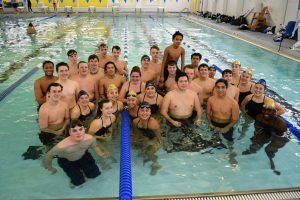 The Northern swim team will compete in the Big 8 Conference Tournament on Thursday, January 24th at the Duke University Aquatic Center. The Taishoff Aquatics Pavilion features an 8-lane, 25-yard competition pool and 17ft Dive Well boasting two 1-meter and 3-meter boards and a 5m, 7m, and 10m dive platform. Taishoff is 4.6ft each end and dips to 7ft in the middle. This pool is primarily used for fitness and competition for our members and student-athletes. Please come out and support our senior swimmers and the entire NHS Swim Team!